But, both types consider brand awareness to be a crucial content marketing goal, which could explain why print newsletters continue to hold value as a content marketing tactic. 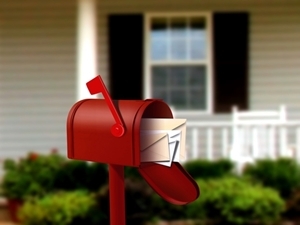 Consumers still love getting mail. Across all key verticals – from financial and insurance to retail and personal care – direct mail is preferred over email by all respondents. As with any print medium, a brand has an opportunity to develop a relationship based on a mutually beneficial value proposition. Print newsletters represent an open invitation to communicate your company story as well as its products and services and to optimize beyond the sales life cycle. Demonstrate value to cut through the clutter. As digital marketers, we sometimes forget that good old-fashioned print meets the conditions of content marketing: demonstrate your value proposition while providing value. Print newsletters, just like print magazines, are a mainstay for many companies wanting a credible way to cut through the clutter. Typically, your newsletter periodical will include articles around one specific subject or topic related to your brand or company and written for a group of people with a common interest — namely your products, services or cause. Like any marketing communication, it’s important to establish a consistent distribution cycle to be the most effective. Whether it’s weekly, monthly or quarterly, determine a regular schedule and stick to it. Although the recipients of your newsletter gave you implicit permission to enter your home or office, remember, newsletters are not ads. If you are sending out a promotional newsletter, your goal, of course, is to turn prospects into customers and customers into repeat buyers. You just want to steer clear of any overt sales pitch. But calls to action are more than acceptable. A print newsletter allows you to give more in-depth information to readers, which is especially important when trying to educate buyers about complex products or services. Once they understand fully the benefits of what your company has to offer, they will be more likely to buy. It’s a proven way to nurture customers, members and leads. There are no costs for distribution because you already own your customer list. Print is enjoying resurgence because it feels new when compared to digital marketing. The printed word is perceived to be more substantive and therefore more credible. Print allows people to unplug from the online chatter. Its noise to signal ratio is zero, compared to the Internet. For niche demographics, like seniors, print is perceived as more legitimate. Print newsletters enjoy a longer shelf life, leading to more active engagement. This Tennessee Whiskey distiller since 1870 celebrates its sipping heritage with apparel, glassware, accessories and tours and publishes a print newsletter to promote it all. This company was the Gold Winner in the 42nd annual Creativity International Awards for B2B newsletter design, proving that science doesn’t have to be boring. This leading European distributor of papers and packaging products took home the gold at the 42nd annual Creativity International Awards. First impressions: Even though your newsletter is most likely free to subscribers, will a new reader perceive value in it? The layout and openness of the design, color and weight of the paper and the balance of text and graphics are being scrutinized in a nanosecond. Does it say, read me now or shelve for later? All elements of your newsletter design should enhance your overall brand message and meet readers’ expectations. Format: Newsletters don’t have to be letter size portrait booklets to be called a newsletter. Other formats may work better, depending on your industry. Explore different sizes, orientations and folds based on the purpose and content length of the publication. Content: Carefully choose your articles so that each one generates results. Avoid using generic filler, such as recipes or quotes. Focus content on industry trends, new product innovations, a top customer spotlight, or company milestones. The goal is to include focused content that meets the informational needs of your target audience. Including testimonials of satisfied customers can add a persuasive element to your content and lets your customers do the selling. Sales tool: You can attract more readers and more potential customers by featuring your company’s area of expertise. This should be tips or best practices that are useful to readers regardless of whether they do business with you. A utility company might offer “energy efficiency tips” or a hotel conference center could offer a meeting and planning guide for corporate clients. Offline promotion: Promote free subscriptions to your newsletter. A simple way to generate leads is to include a call to action in all your company’s marketing communications, such as ads, brochures, catalog, trade show signage, etc. that encourages customers to call or email for a subscription. Online promotion: Include a sign-up box on your website for your free print newsletter and include an archive of sample newsletters to show exactly what the subscriber can expect. Promote it through all your social media channels to drive people back to your website to sign up. You may even want to run a contest using social channels, enticing people to sign up for the printed material. Mail your newsletter to all former customers or potential customers who have requested information on your product or service in the past but never ordered from you. Just be sure you make it easy for them to opt out. Give your salespeople copies of the newsletter to hand out on sales calls, at trade shows and exhibition booths. Send the newsletter to all potential clients who may have a strong interest in a solution-oriented article you published that may appeal to them. For example, if your technology solution helped a local hospital save thousands of dollars on staffing costs, send a copy of the newsletter to all the hospitals in your service area. When people actually want to receive information about your company, doesn’t it make sense to include a print newsletter in your marketing mix? Great choice. I was surprised how many good print newsletters are being published and The Fearless Flyer is definitely a cut above. Your comments mirror exactly what the research shows…consumers will read content that is relevant to their interests and, in your case, evangelize about it. Thanks for sharing! I like the idea of creating value in the print newsletter as something to hold on to in the home or workplace, due to its usefulness or sheer aesthetic appeal ( or both!) That might be a good result to strive for when approaching this tactic. Yes, Sarah, that’s exactly Courtney’s point below. Although my day job is in the digital world, I’m still very tactile and love quality print. Wow! What a great overview of print newsletters. 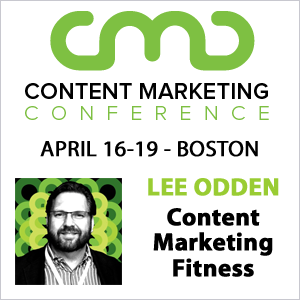 You have some excellent ideas for how to really boost your content above and beyond ordinary. As someone who does this day in and day out, I appreciate your insights.